English 17. novembris, 2018. 23. decembris, 2018. HAS THE STATE POLICE INITIATED A CRIMINAL INVESTIGATION AGAINST THE U.S. GOVERNMENT? We are witnessing a Magnitsky case in miniature here in Latvia. Sergey Magnitsky was a tax lawyer who detected a scheme for looting vast sums of money from the Russian budget. He contacted law enforcement institutions with the information. The Russian police and prosecutors responded by arresting – no, not the reported perpetrators, but Magnitsky himself. He died in prison. Police in Latvia, after several months of deliberations, are of the opinion that a criminal case must be initiated based on an application by ABLV banka, claiming that some actors other than the bank itself have undermined the reputation of the financial system in Latvia, and must be investigated by way of criminal proceedings. So, an application has been accepted from world-famous money launderers and bribers. America imposed sanctions against their bank for systematic money laundering, bribery and fostering corruption. The application asserts that criminal procedure should be applied to seeking out and prosecuting the officials and private individuals in Latvia that dared to cooperate with U.S. authorities as they gathered information about the bank. ABLV believes that these people should be identified and penalised lest any Latvian official or citizen should ever decide to cooperate with U.S. government institutions in the future, or to inform them about possible violations of Latvian law. The State Police has considered the application and initiated criminal proceedings. Who can explain how such conduct on the part of our State Police is different from Russia’s response to the Magnitsky affair? The police are also claiming that the criminal procedure was not initiated against a specific individual but regarding a fact. This is logical, since no specific individual would have undermined the reputation of banks in Latvia. (Reputation is not something that could be undermined by, for instance, a discussion between two banking watchdogs.) The only things undermining the reputation of Latvian banks are the conclusions of international bodies about the financial system in Latvia – namely, the FinCEN notice in February, last week’s notice by Moneyval, and others. But, because the application by ABLV was actually written in February, it was clearly concerned with the contemporaneous U.S. FinCEN report referring to them. The police have officially admitted that a violation of Latvian law may have occurred, and officially launched criminal proceedings to investigate it. Let’s see what is and what is not true. Certainly, some part of the information on which FinCEN (and other U.S. agencies with which it coordinated the report, as stated in the report itself) based the findings on sources in Latvia. Some of these sources are officials whose direct duty it is to cooperate with foreign institutions and provide them with relevant information. These certainly include sources within the bank itself, and the people acquainted with ABLV shareholders (for instance, the report recounts private discussions between Fiļs and Bernis). Now, the Latvian State Police has initiated criminal proceedings – it will conduct interviews, seek out and listen in to these people and establish whether anyone had said something that the money launderers and bribers at ABLV believe harmed them! The situation is utterly absurd. At a time when thousands of his depositors have no access to their money, the richest man in Latvia, Oļegs Fiļs, is seen on the pages of gossip magazine “Privātā dzīve” relaxing on a yacht in Italy with his latest girlfriend while he writes applications for the police to catch everyone that’s making his life more difficult. The police obey every instruction like Fiļs’ loyal lapdogs. I should add, of course, that the shareholders and executives of ABLV Bank are among the largest sponsors of the “Vienotība” (Unity), now named “Jaunā Vienotība” (New Unity). 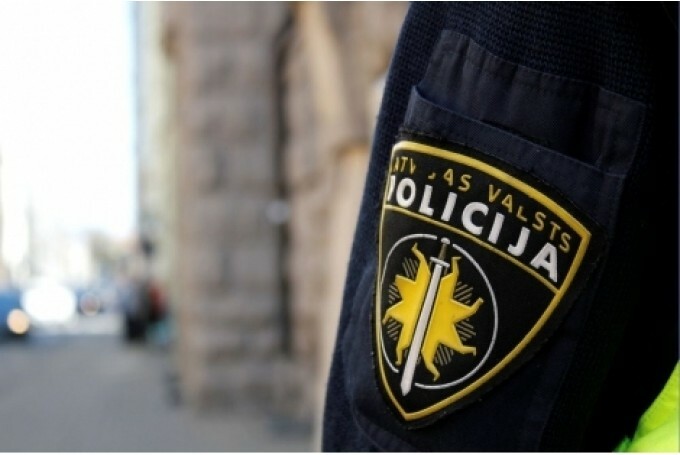 Perhaps the fact that a representative of “Vienotība” is currently serving as the Minister for Domestic Affairs is playing a significant role in these decisions by the police. Fiļs has donated 7500 euros to “Vienotība”. Bernis has donated 8500 euros. The bank’s chief financial officer and member of the board Māris Kannenieks has donated over 50 000 euros to the political parties. In Latvia, these are formidable amounts of funding. Importantly, this is not the only case where the Latvian State Police has been unusually forthcoming towards ABLV Bank shareholders. In late July, the press published news about the State Police almost instantly initiating a fraud case against Oļegs Fiļs’ former wife based on his application. The case revolves around his former wife allegedly planning not to return a loan to Fiļs’ company, which is due in the year 2027. Yes, indeed – it’s not that she has defaulted on any loan, not that she is late on some payments, but that ABLV shareholder Oļegs Fiļs suspects she is planning not to repay the loan in 2027. The State Police decided this worthy of initiating criminal proceedings! I’m sorry, but if this is not corruption, what else does it look like? After the divorce, Fiļs suspected that his ex-wife would not repay a loan in 2027, at which point the police suddenly had the same, extremely unusual suspicion. This criminal case, which is strange to say the least, was initiated by a Dmitrijs Jarovs, acting in the capacity of police department chief. His debt obligations total 67 000.00 euros. His spouse Jeļena Jarova is in even greater debt, owing 82 463.95 euros. Are they in debt to AS ABLV Banka? This could be easily discovered by the internal security service of the police, unless corruption has percolated to the highest levels in this situation. This is far from everything. When the police receive an application from the father of Fiļs’ former wife, the response is reversed: his application is endlessly forwarded from one desk to another and ultimately left without consideration. So, once again, things proceed in the exact way money launderer and briber Fiļs would have wanted. I believe this is the crux of the matter – when some gentleman can provoke patently spurious criminal cases whenever he dislikes the way things are going, and uses the police as a weapon, a pocket force for settling his private scores, this is worthy of attention. I don’t think we want to live in a country where the rich can easily get their enemies prosecuted for doing something they dislike – be it reporting crime to our allies’ authorities or seeking a divorce. In any case, what’s clear is this – the reputation of the financial sector in Latvia has been undermined by nobody else but people just like Fiļs, and by society allowing them to operate unchallenged for so long. This behaviour – leveraging of the State Police in their dirty games played against the country, against their enemies and their romantic interests – is something that police management should explain, and relevant authorities should investigate to hold the perpetrators accountable. Unless this happens, Latvia clearly demonstrates its willingness to completely ignore the statements of both FinCEN and Moneyval, claiming “we don’t see any bribery, we don’t see any money laundering, we have no data; we will, however, prosecute anyone who is willing to cast shade on our money launderers and bribers”. To say the least, that would be the wrong signal to send. Share your opinion in the comments and follow us on Facebook and Twitter!